Leavys Shoes are a leading fashion footwear retailer. Located in the heart of Limerick City, Leavys offers a wide selection of Ladies’ and Men’s shoes. With a tradition of retail excellence, we aim to satisfy your footwear needs. Ladies! Find the perfect pair to match your needs in-store. Whether your occasion is a night out or a wedding, our stylish and wide range of heels will fit your desires! Spring has just begun and now is the time to brighten your wardrobe! Our range of men’s leather shoes will certainly satisfy any man. With an emphasis on quality and value, Leavys offers a wide range of shoes. 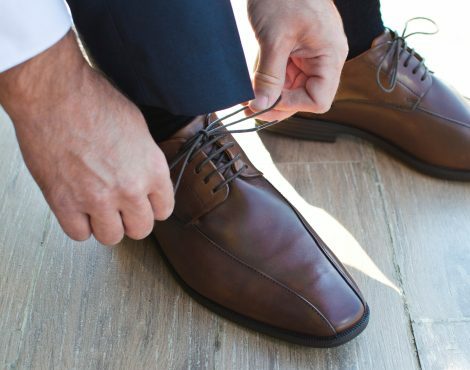 From Derby’s to Oxford’s, Toe-Caps to Brogues, whether your needs are formal or casual, you will find something stylish, comfortable and classic at Leavys Shoes. Leavys Shoes was founded in 1950 in Limerick and has since made its way to becoming a highly recognized store with the latest fashion in ladies and men’s footwear. With our ravishing retail options, you’ll want to visit one of our stores and check out this seasons latest collection before all the good stuff is gone. We’re highly committed to customer satisfaction and go out of our way to make sure you walk out happy.